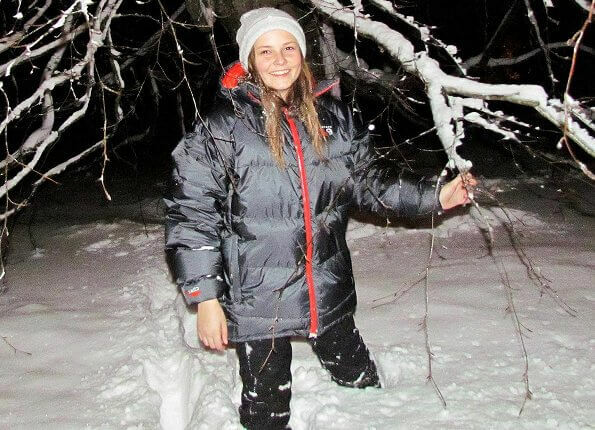 Princess Ingrid Alexandra celebrates her 14th birthday today. The Royal Court of Norway released a new photo of the Princess in celebration of her birthday. She was born in Oslo University Hospital, on 21 January 2004 at 9:13 am local time. She is the first child of Crown Prince Haakon and second child of Crown Princess Mette-Marit. The photo was taken by Prince Haakon. Happy birthday to you, Ingrid Alexandra. Lovely photo of a winter baby. She is a pretty young woman and looks very much like her Grandmother, Queen Sonia. She looks very much like her grandmother and her father... Beautiful young girl! happy birthday! She is a beauty and very charming too!